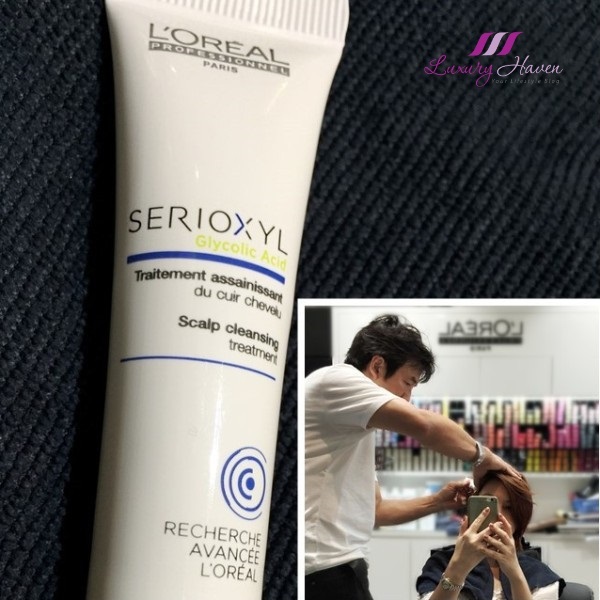 Starting with L'Oreal In-Salon Serioxyl Scalp Cleansing Solution to refresh, cleanse the scalp and remove any dead skin, Daniel worked his way through a meticulous 5-minute scalp cleansing massage. 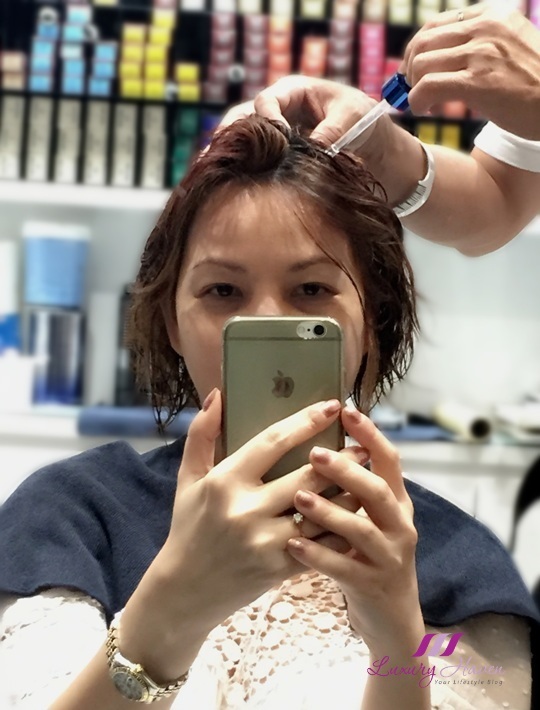 My hair was given a good rinse, followed by Redken Intensive Hair Treatment. 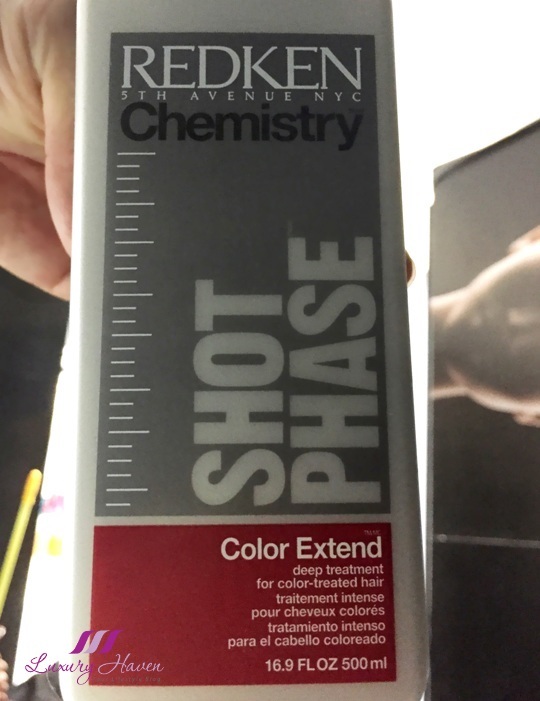 The Redken Chemistry service is a 2-step professional in-salon treatment that is designed to work in conjunction with the Redken Haircare line. Contains specialized ingredients that compensate for missing components in the hair due to chemical or mechanical distress. 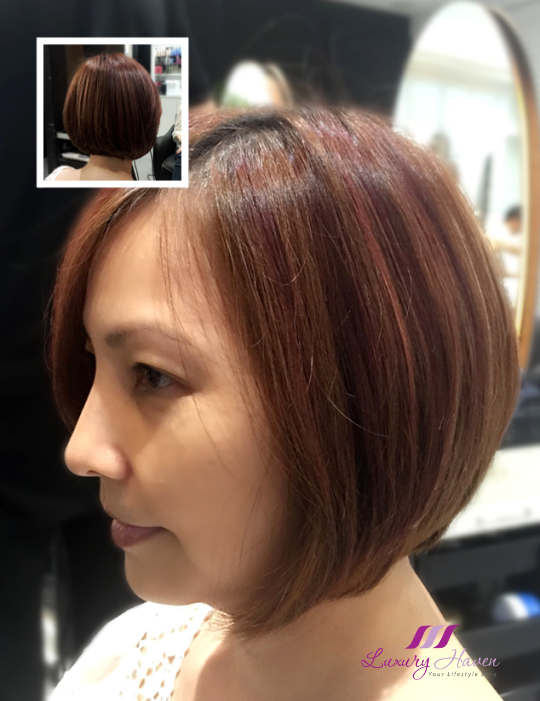 Six Shot Phase formulas are available and Daniel used the Redken Chemistry Colour Extend Deep Treatment for my colour-treated hair. 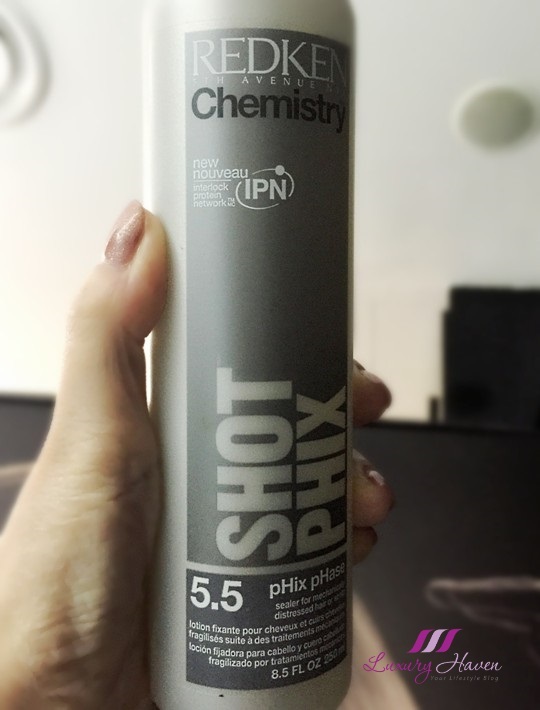 Using the Redken Chemistry Shot Phix 5.5 to help lock in the specialized ingredients in the Shot Phase formulas, while rebalancing the hair’s pH level and sealing the cuticle to leave hair in its most compact, healthy condition. 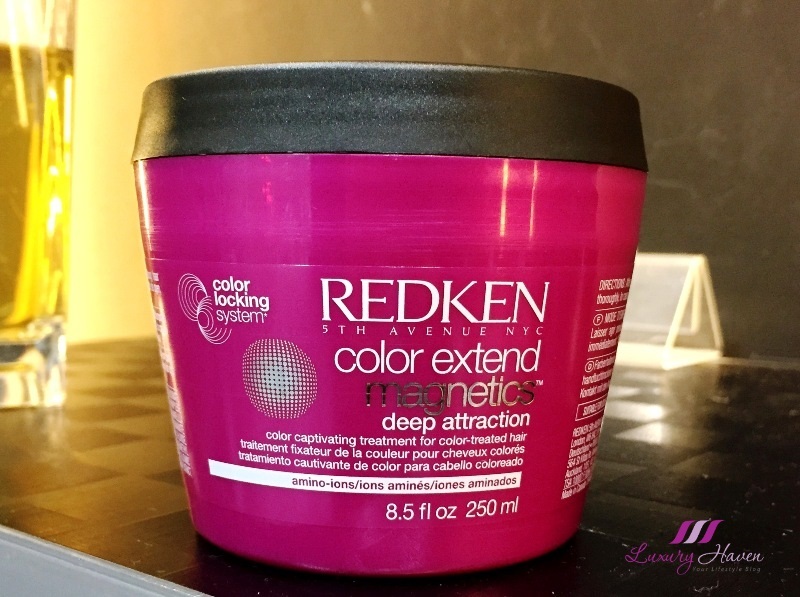 I was off to the basin for a rinse before commencing the next step using the Redken Colour Extend Magnetics Deep Attraction Mask. This sulfate-free hair mask for colour treated hair extends the life of hair colours, strengthens the hair fiber and strands with intense replenishment, leaving hair feeling softer, smoother and more fortified. 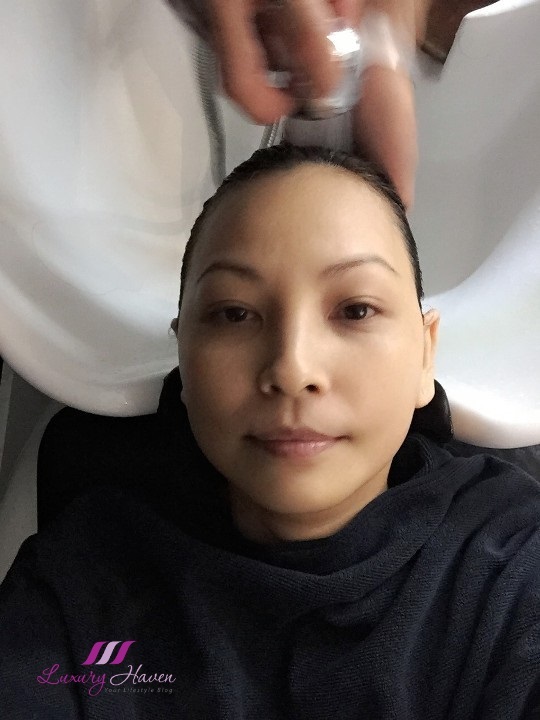 Steaming the hair opens up the cuticle for better penetration of products while adding moisture. 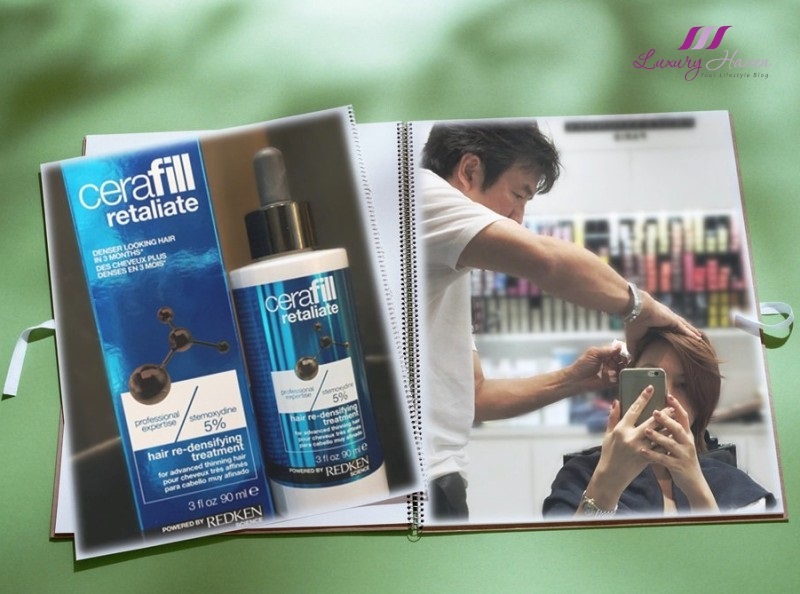 After the final hair wash, Daniel applied the Redken Cerafill Retaliate Hair Redensifying Treatment, finishing off with a gentle massage and blow dry. 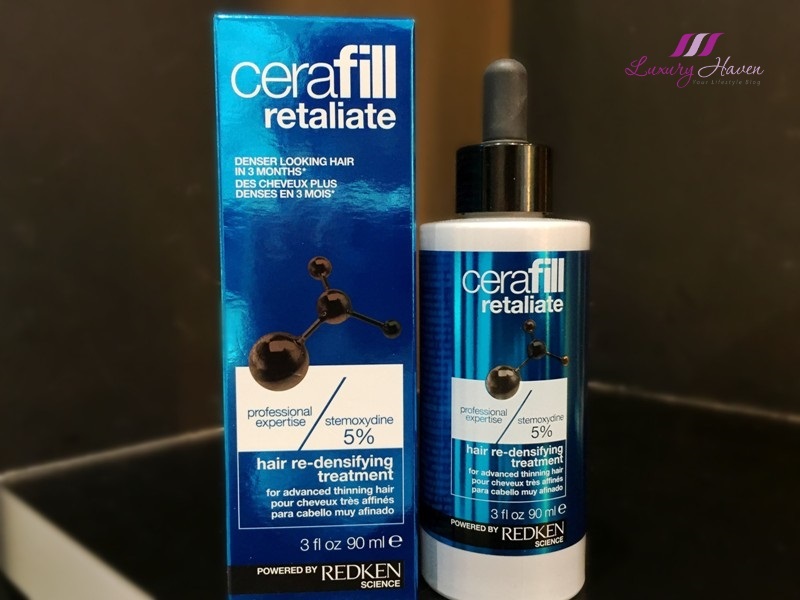 The Redken Cerafill Retaliate Hair Redensifying Treatment is a stimulating system for all hair types showing signs of thinning, helping to improve the density of thinning hair, leaving you with the appearance of thicker-looking hair. 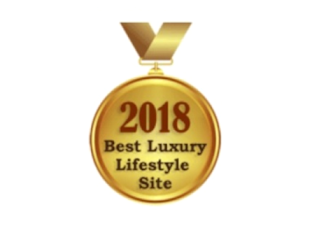 Followers of Luxury Haven will get 15% off all hair services! Please inform Clover when making your appointment. 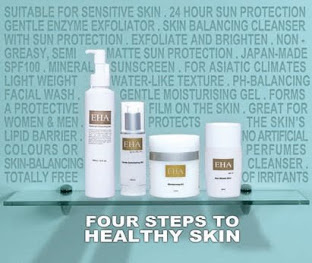 *Not Valid with any Ampoules, Partial Treatment, Promo, Packages or VIP Discount. 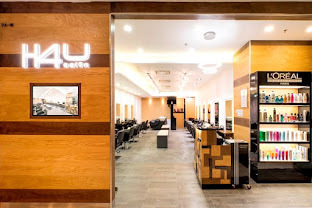 Alternatively, you can catch their 1-for-1 Senior Stylist Protein Treatment + Haircut Promotion! 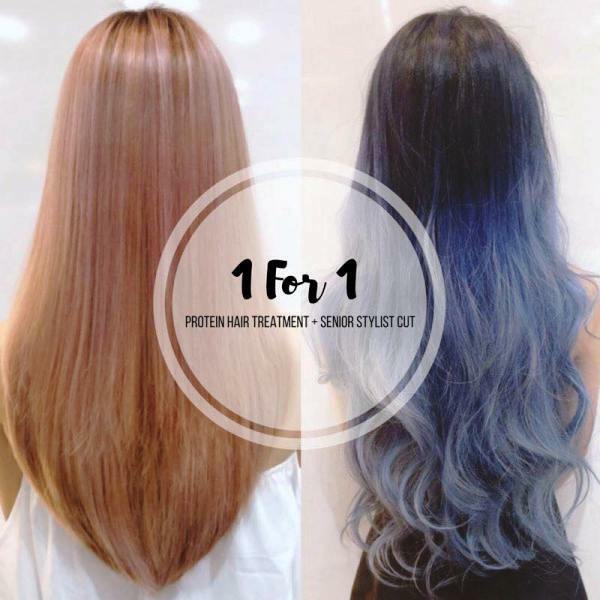 For just SGD 98 for two, you and your friend can choose either a Protein Hair or Scalp Treatment + Haircut! 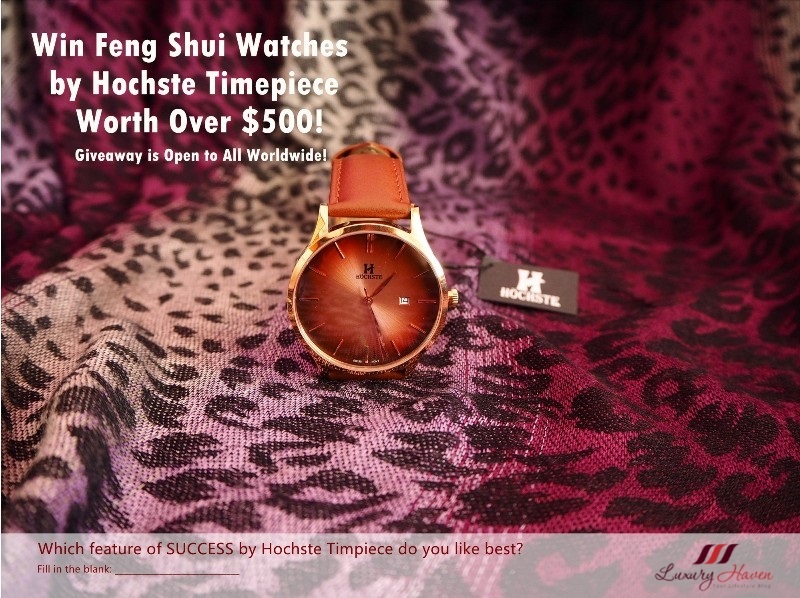 *Promotion Is Only Available on Weekdays in July 2016 and Strictly By Sign Ups Only. Sign up for your 1-for-1 Protein Treatment + Haircut Now! 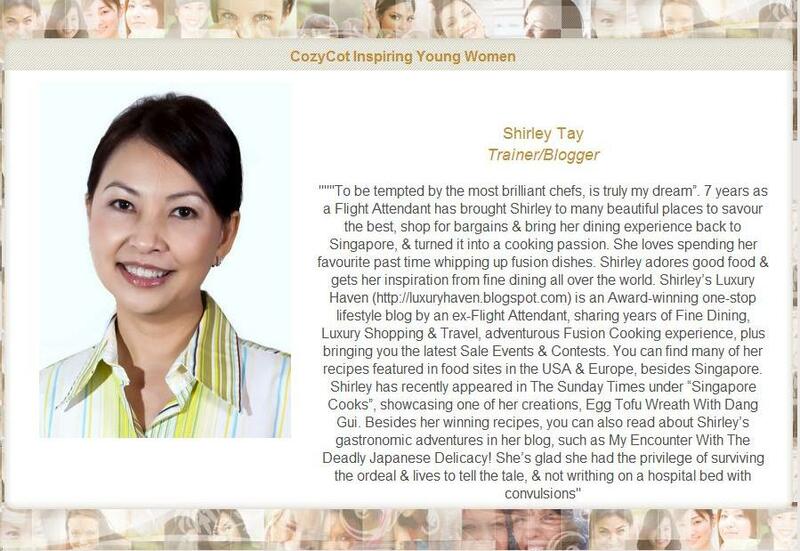 You look beautiful, Shirley! Looks like a wonderful hair treatment. 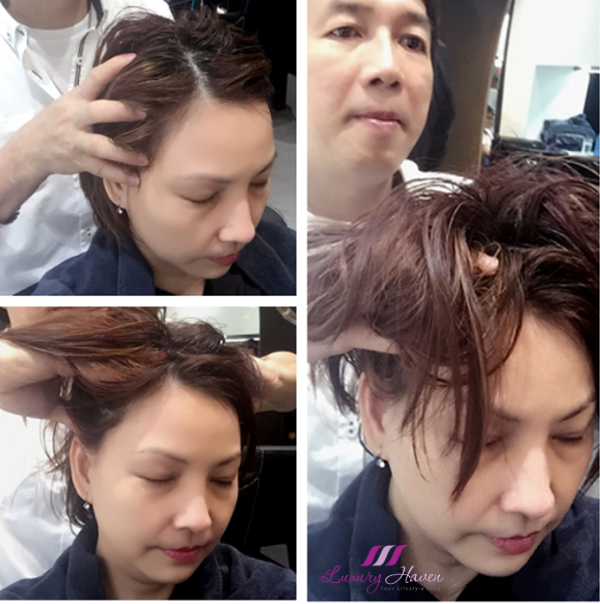 This intensive hair and scalp treatment looks really good and enjoyable. Hair is definitely the crowning glory. I see it shining through after this treatment. Looks so healthy and great color on you fabulous hair. 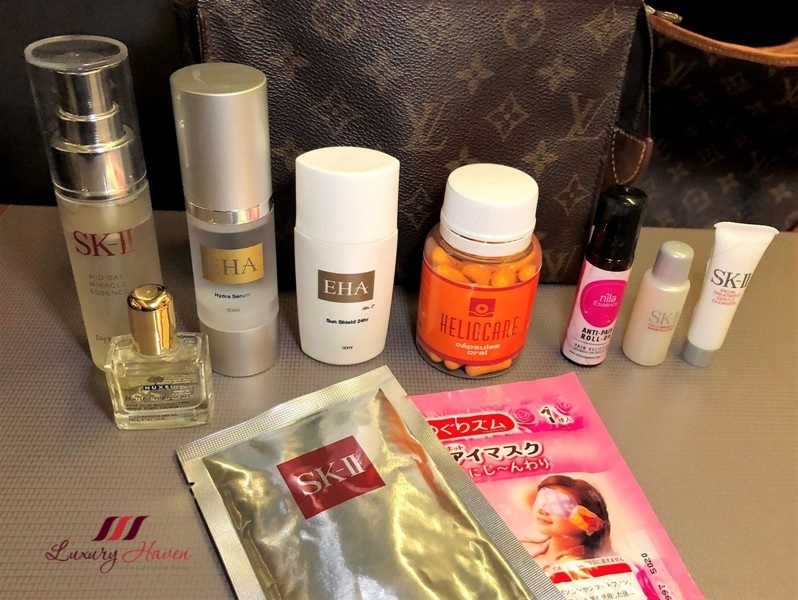 Great hair treatment, you look fab doll! Seems like a good deal. Readers living in Singapore would be happy to know this. 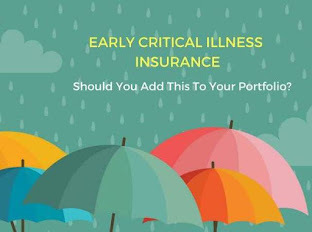 I think it s a great concept. Thank you the beautiful photos ad the explanations.Grat post! 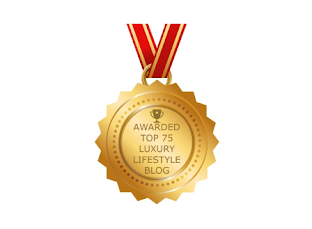 A good scalp massage can feel so rejuvenating! Your hair came out great Shirley! This really seems a wonderful hair tratment! 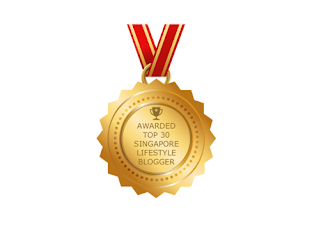 Your hair looks amazing, hun! My hair sure could do with a good conditioning treatment right now. Que maravilla de tratamiento..estas genial con es nuevo look..
Looks like a great treatment! 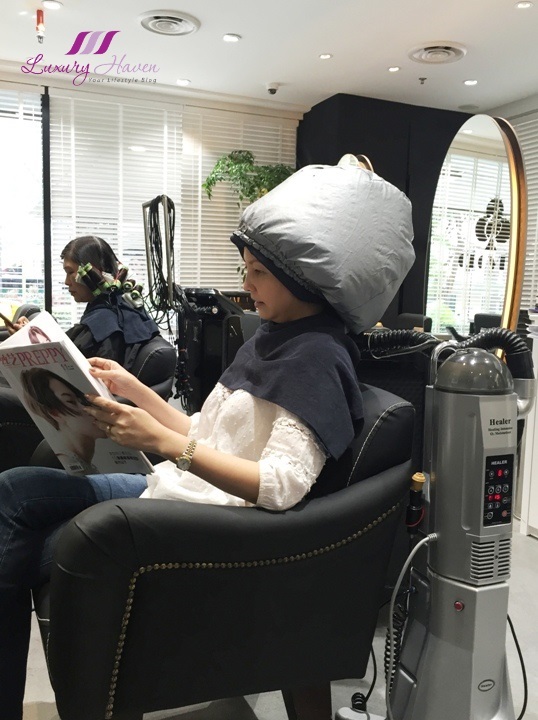 That seems like a fantastic hair treatment! Your new hair style looks so good on you! What a beautiful shine to the hair. Wow - your hair is beauuuutiful!